I must say I was more than delighted when I heard that Suzanne Jackson of So Sue Me brought out her own nail polish line. Having followed her for years it's so lovely to see how far she's come, so I was more than excited to pick up these pretties! I must admit I was really skeptical with regards to whether or not these would be good, so I was glad to be so pleasantly surprised! 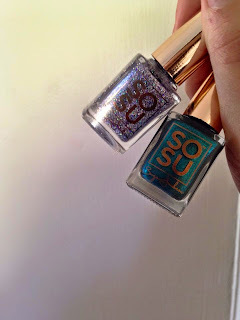 These polishes were true to colour, although I did use two coats they were really vibrant. The brush size is perfect for someone like me, who simply cannot paint nails very well! And while it may take a while to dry, it definitely has its promised "Salon Gel finish without the UV light"
"Rock Candy" was definitely my fave. Although it did take two coats, it looks so good on (and I'm usually not a fan of pink nail polish!). I love sparkly nail polishes, so "Unicorn Dust" was a must have for me. This one really impressed me the most, because I rarely come across a sparkly polish that doesn't drown your nails in the midst of trying to make them sparkle. 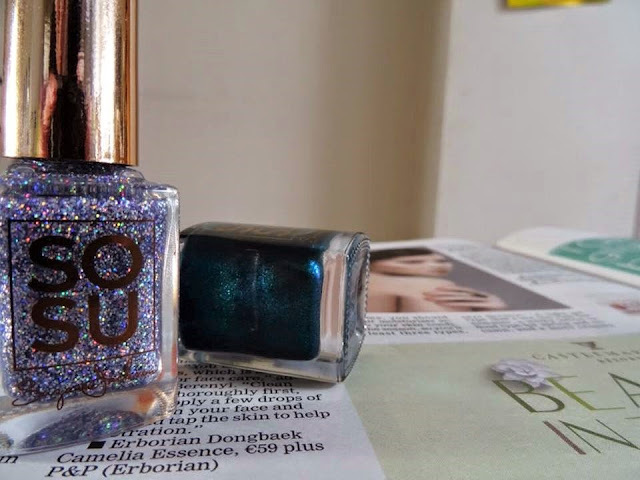 And finally "Bare My Soul" was a really nice shimmery green, really bold but really glamourous with a slight sparkle.